(illustrator). Sm 4to from 9" to 11". xiv, 224 pp, light yellow cloth covered boards, dj yel w/black-pink lettering on the spine w/color illustrated front panel. 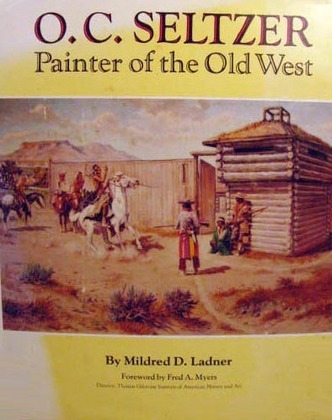 The art of Olaf Seltzer who was born in Denmark, the book contains reproductions of illustrations in the Gilcrease Collection at the Gilcrease Institute of American History and Art. In mylar cover.